Co-Director, Health and Policy, at The University of Sydney’s Brain and Mind Centre, Professor Ian Hickie is an NHMRC Senior Principal Research Fellow (2018-22), having previously served as one of the inaugural NHMRC Australian Fellows (2008-12). Since the inception of Australia’s National Mental Health Commission in 2012, Hickie has been one of the Commissioners overseeing enhanced accountability for mental health reform and suicide prevention in Australia. He is an internationally renowned researcher in clinical psychiatry, specializing in depression and other mood disorders, early intervention, use of new and emerging technologies, and suicide prevention. In his National Mental Health Commission, independent research, health system, and advocacy roles, Professor Hickie actively contributes to the move to integrate mental health and suicide prevention with other aspects of health care, notably chronic disease and ambulatory care management. Taj Pabari is an 18-year-old inventor, social entrepreneur, and educational pioneer passionate about inspiring children to discover and embrace the world of creativity through business and entrepreneurship. Informally selling items during his free time and lunch breaks, he made his official entrepreneurial debut at age 11 when he founded his first business: an electronic blogging site for children, by children. Some 300 articles later, Pabari sold the site and used it as inspiration for his next venture. In late 2014, he founded a social enterprise called Fiftysix Creations: Australia's Largest Entrepreneurship School Workshop Provider. It runs workshops in schools and during school holidays teaching young people about the world of computer science, creativity, and entrepreneurship. National Geographic, 60 Minutes, ABC, Sky News, Sunrise, CNBC, The Australian, and channels seven, nine, and 10 have featured his work and captivating story. His accolades include winning the 2017 Queensland Young Australian of the Year and the 2014 Australian Young Innovator of the Year. When not “working” on his ventures, Pabari divides his time between tennis and travelling. Over the past three decades, Angela Foulds-Cook has worked with students, teachers, and parents in Australia, Canada, China, Hong Kong, Japan, New Zealand, Singapore, and the United States. She has developed programs and presented at international and state conferences, including the National Association of Gifted and Talented Children (NAGTC) in the United States and the World Association of Gifted and Talented Children. Her major goal is to advance educational and creative outcomes for high-potential, gifted, gifted learning disabled, and underrepresented gifted students. As Associate Dean of Learning and Teaching and Head of Gifted Education at The Southport School, Foulds-Cook facilitates gifted and high-ability programs for year 7-12 boys and mentors teachers of the gifted cluster and high-ability accelerated classes. She has been recognized for her contribution to education as a finalist in the Queensland College of Teachers Excellence in Leadership and Teaching awards. Foulds-Cook garnered the Vice Chancellor’s Award for her master’s of education specializing in gifted and talented education encompassing leadership development and e-learning. Emeritus Professor Wendy Patton is currently Chair of the Board for Queensland College of Teachers. Previously she served as Executive Dean, Faculty of Education at Queensland University of Technology and also as Professor and Head of School in the Faculty. In July 2016, the university council awarded Patton the title of Emeritus Professor to recognize her extensive leadership and service to the university and teacher education, and her significant contribution to research in the field of career development. Professor Patton continues to conduct research in career development, in addition to focusing on the capacities demanded of individuals in a changing work world. 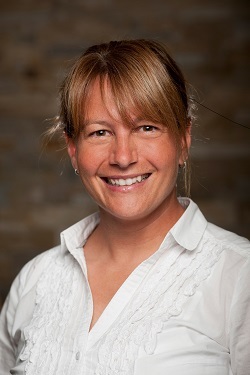 Currently at McGill University, Ada L. Sinacore, Ph.D. is Chair of the Gender, Sexuality, Feminist, and Social Justice Studies Program, Director of the Social Justice and Diversity Research Lab, and Associate Professor in the Counselling Psychology Program. With more than 20 years of experience working in Canada, the United States, and worldwide, Sinacore is internationally recognized for her extensive expertise, presentations, and publications addressing social justice concerns at the individual, institutional, and policy level. She actively engages in research on gender equity education, sexual health education, social justice pedagogy, migration and immigration, workplace harassment, bullying, and gender-based violence. Additionally, Sinacore is highly sought for her consultation and program evaluation skills. Her numerous honors and awards include the Oliva Espin Award for Social Justice Concerns in Feminist Psychology: Immigration and Gender, from the Association for Women in Psychology. She is a Fellow of the Canadian Psychological Association and received the Distinguished Member Award from the Section on Counselling Psychology of the Canadian Psychological Association. In a tribute to her passion for teaching, she received the McGill University, Faculty of Education Distinguished Teaching Award. An experienced educator, administrator, independent education consultant, workshop presenter, MC, school leadership trainer, master teacher, and teacher mentor, Greg Mitchell provides practical applications that enhance all aspects of school life. He delivers the kind of keynote addresses that makes you laugh, cry, and change your life — no death by PowerPoint here! Mitchell presentations spark engagement and enjoyment as he delivers important messages. A dedicated “culture wrangler,” he aims is to improve the culture of organizations — from pre-primary class to the corporate boardroom. Relaxed, friendly, and fun, but radically honest, Mitchell delivers serious messages in the most positive way possible. Based in Perth, Greg and his wife Kate work with schools, training authorities, government agencies, and businesses throughout Australia and around the globe.